The resilience and adaptive capacity of ecosystems support their sustained function and provision of ecosystem services under the pressure of direct and indirect human impacts. Eawag’s research helps to develop measures to reduce human impacts on the water environment as well as to assess and strengthen ecosystem resilience. The pressures on aquatic ecosystems are constantly increasing as a result of population density and growth, intensive agriculture and the use of hydro-power. Even in Switzerland, the ‘water tower’ of Europe, only 4% of the total land area is occupied by lakes, rivers and marshes. These areas are home to a huge variety of species, and this biodiversity is under threat. The extinction rate in freshwater habitats is significantly higher than the rate on land or in the oceans, not only in relative terms because of the small surface area, but also in absolute figures. 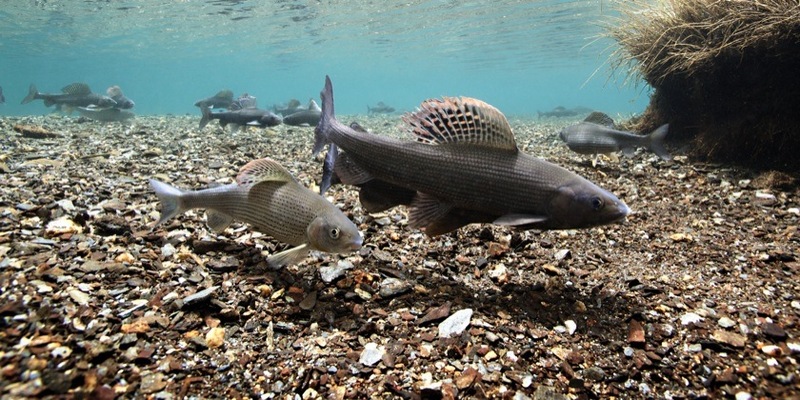 In Switzerland, 15 out of the 86 original native species of fish have become extinct, and over 60% of all aquatic plant species are considered to be endangered. Eawag’s research examines the causes of biodiversity loss and searches for measures that will allow ecosystems and their functions to be preserved in the long term.